A few weeks ago I came across this list on US blog Heroes and Heartbreakers, naming the ten Regency romances you should read. The author did say it was her own opinion – and I know these types of list are always contentious! – but to be honest, I was pretty amazed that the author Georgette Heyer wasn’t featured. Georgette Heyer was the creator of the first Regency romance, and her works remain unsurpassed by any other Regency author. She was prolific, writing at least a book a year for fifty years, and her novels maintained a consistently high quality. There are one or two duds, it’s true – but you have to read a lot to come across them! So what is it about her that makes her books so great? they are really fun to read. I could go on, but I thought I’d pick on one novel I’ve re-read recently and explain why I like it so much. The Unknown Ajax is the story of the Darracott family, who live in an isolated stately home in the Sussex countryside. The head, Lord Darracott, is an old curmudgeonly tyrant. When his wastrel son and heir dies, he is furious. His estate will now pass to a farflung grandson, Major Darracott – the “son of a weaver”, and a man he’s never met. Determined to teach “the weaver’s brat” how to behave like a gentleman, Lord Darracott summons the Major to stay at the hall. In an Agatha Christie-esque build up, he also summons the rest of the family to meet the new heir. And so the initial scene is set, with a fabulous cast of family characters, including the heroine and her young brother; her affectionate and silly mother; her pompous uncle and his shrewd wife; and the heroine’s two cousins – the foppish Claude and his brother, the viper-tongued Vincent (whose bickering and rivalry I adored). The author writes of Claude and Vincent: “If it cost Claude a pang to know that Vincent’s Hessians outshone his own, this was nothing to the rage and despair that filled his valet’s soul.” There’s a great subplot of servant rivalry running through the story, which escalates as the novel progresses. In the opening chapters of the book, the rest of the family are stunned to hear of the Major’s existence, and agog to meet him. They expect him to be an ill-educated man from a milltown in Yorkshire (aye, we’re all ignorant here int’ north! ), and that he’ll be overjoyed to inherit land and a title, and too frightened of Lord Darracott to stand up to him. 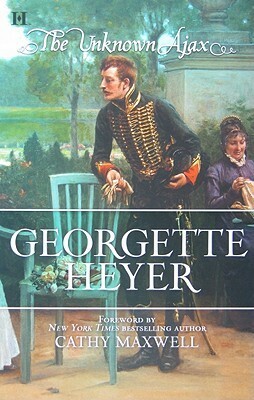 Georgette Heyer throws in a few clues as to the Major’s character, however, and the fact that he arrives at his own pace speaks volumes. By the time the Major arrives at the hall, his family – and the reader! – are dying to meet him. The build up of suspense is gripping. In a masterly introduction, the Major suffers a series of insulting put-downs about his upbringing which, although startled, he takes with phlegmatic aplomb. He’s a great hero, and not at all the usual alpha aristocrat. He plays along with the family, exaggerating his northern accent and pretending to a lack of education. The author describes his appearance as “bovine”, but as the story unfolds, of course his intelligence, wit and leadership qualities all gradually reveal themselves. The family are also stunned to discover, at the end of the novel, that far from being an uneducated “weaver’s brat”, the Major is the son of a millionaire mill-owner, and was educated at Harrow. The main plot involves Anthea’s younger brother Richmond and his involvement with a band of smugglers. The plot is outlandish, of course, but Georgette Heyer carries it off in style. In the final scenes, the whole family is united, like a sort of comic opera, in a plot orchestrated by the hero to save the heroine’s brother from being caught by the Customs Officer. The foppish Claude and his valet come into their own in a way that made me laugh out loud. My one quibble with The Unkown Ajax is that the heroine doesn’t play a great role, and, although intelligent and witty, is rather passive. But this is highly unusual for a Georgette Heyer romance, where the heroines are all wonderfully strong leads, so I think it can definitely be overlooked. Andafter all, in nigh on fifty novels the author has to vary the heroine’s character in umpteen different ways – and she manages this more successfully than any other prolific romance writer I’ve ever read. I’ve only touched the surface of why Georgette Heyer is such a great read. 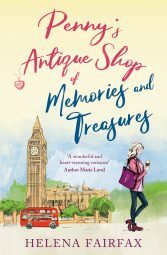 If you’ve never tried any of her novels, I urge you to do so – and I’m envious of the treats in store for you! If you’d like to know more about Georgette Heyer’s novels, you might find this article on the BBC website an interesting read. Are you a fan of Georgette Heyer? If so, which is your favourite novel? 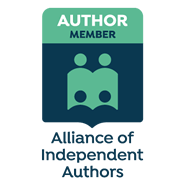 If you can recommend any other historical romance authors, I’d be very interested. If you have any comments or recommendations, I’d love to hear from you! Oh, I adored Georgette Heyer novels when in my teens – for all the reasons you’ve outlined! I love the classic Heyer stories such as Sprig Muslin, These Old Shades and The Grand Sophie. Unsurpassed! I’ve read those three novels many times, too, Ros! My favourites have changed over the years, but all of them are superb. Glad to remind you of happy reading days! I’d forgotten about Georgette Heyer! I loved her books. Thank you for the reminder. I’m going to download a couple right now. Oh, I’m glad I’ve reminded you of such great reads! 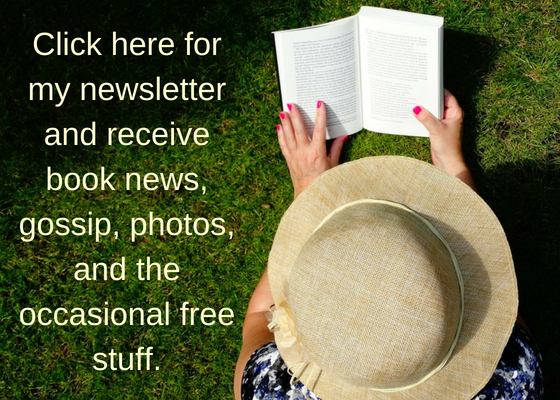 Thanks for letting me know – and happy reading! Helena, I am not a regency reader, but have never really tried one, so I am taking your suggestion and trying a Georgette Heyer book, Sprig Muslin, and a “gateway” book, Lord of Scoundrel, on the list you noted in your post. I just downloaded samples to get the flavor of this genre before deciding to actually buy one of the books. Sampling books is one of the reasons I love having e-books available. Thanks for the info! Hi JQ, oh I do hope you enjoy Georgette Heyer. I’ve found a big difference in the style between British and US Regency authors. The British authors are far more authentic, especially in the dialogue, which is hardly surprising, as it comes naturally to us! Downloading samples is a great idea. I haven’t read Lord of Scoundrels, so I think I’ll do the same. Please let me know if you enjoy Sprig Muslin. Thanks for your great comment! Hey, Helena. Yes, I read most of Georgette Heyer’s books and had a ton of them on my shelves. Like you I loved the descriptions of those times in dress, food, and manners. The humor always reminded me of some of George Bernard Shaw’s work. Those great comedy of manners! I don’t read historicals much anymore.With limited time to read, I stick with romantic suspense. But I encourage anyone who likes historical to give Heyer’s books a spin. I got a lot of enjoyment from reading her. I’ll FB and Tweet. Hi Marsha, it’s nice to meet a fellow Georgette Heyer fan! Like you, I don’t read much historical romance any more – I read a lot of contemporaries – but I still love to re-read Georgette Heyer from time to time. I’d love to be able to write like her. Thanks very much for your comment, and for FB-ing and Tweeing! Hi Helena, my first Georgette Heyer book was “The Grand Sophy”, and I found it a delightful and amusing read. I have a few of her books on my TBR library wishlist, and now, thanks to you, I’ll add “The Unknown Ajax”. Hi Loren, that’s a good point. We’re only looking into that world through the Georgette Heyer’s eyes, sadly. But at least she has made every effort to research, which definitely isn’t true of a lot of historical romance authors. You’ve reminded me of Gaskell, and how much I love her novels. And it’s true about how humanity doesn’t change – that’s one thing that always moves me when I read great writers. Thanks for your great comment. I love reading historical romance books, and Georgette Heyer is among my favorites. I read so many books that I can’t remember titles unless they were current reads. I recommend H.K. Carlton’s two regency books. She’s a fellow MuseItUp author. I stumbled across her book as a Christmas gift from Lea. When I wrote to the author to tell her how much I enjoyed her book, she gifted me the second one. I read H.K. Carlton’s The Devil Take You, and much enjoyed it! How typically kind of her to send you one of her novels. She’s a very generous author, and always supportive. Thanks for coming in to comment, Leona! 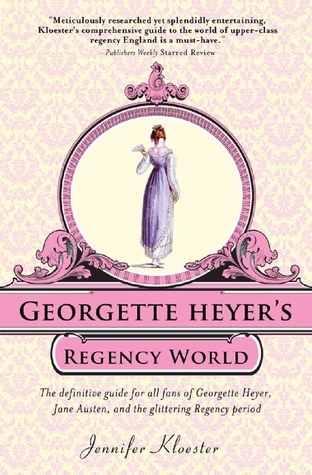 I’ll be adding Georgette Heyer to my TBR list – thanks for the recommendation! The premise of The Unknown Ajax reminds me a bit of Downton Abbey season 1 (which I loved). Hi Heather, I hope you enjoy her novels! That’s funny, I’ve heard other people say that Downton Abbey reminded them of Georgette Heyer. And a LOT of writers have plagiarised her work over the years. She was the first Regency romance author, and I don’t think there’s been her equal in this type of romance. I hope you enjoy her books – please let me know if you do! I read all the Georgette Heyer books that I could get my hands on in my teens and your post reminded me why I liked them so much! Hi Tina, I started reading them as a teenager, too, and was totally swept away! Of course I loved the brooding aristocrat hero in those days (of which she has plenty!) but nowadays I appreciate the likes of Major Darracott more fully :) Glad to remind you of happy reading! My favourites were These Old Shades and its sequel, Devil’s Cub. I haven’t read the one you profiled. Must try it. I, too, love Georgette Heyer. Over the years my favorites changed as I read and reread. Devil’s Cub, These Old Shades, The Grand Sophy, The Unknown Ajax, Faro’s Daughter, Sylvester the Wicked Uncle, The Convenient Marriage, Frederica, A Civil Contract… I could go on and on since each of these at one time or another was my favorite. Only her Regencies, though. I never could like her mysteries! Hi Cheryl, I so understand what you mean! My favourites, too, change over time, but one of the brilliant things about Georgette Heyer is that she varies her heroes, heroines and settings with such superb skill. I haven’t tried her mysteries, and keep meaning to. I must read at least one this year! Thanks for coming by, and for your lovely comment!